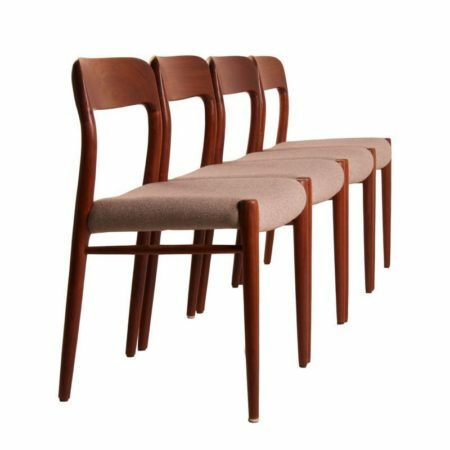 Set of four Danish dining chairs model 75 designed by Niels Otto Moller in 1954 and made at JL Moller in Denmark. These chairs are made of teak wood and are reupholstered with new fabric, refill and new singles. The seat height is 44 cm. Considering their age this vintage chairs are in very good condition.